As a custom applications engineer, one of the most important parts of the job is to ensure all conveyor systems are designed to meet the highest standards of safety. Certainly, for applications that call for direct employee interaction with gate conveyors, safety is the number one concern. That’s why in areas of heavy foot traffic in and around processing lines, the liftgate conveyor is often an ideal solution. Dorner’s liftgate conveyors are built so that one section of the conveyor can be lifted, much like a drawbridge, allowing safe passage for employees to enter their work area. After employees are safely in their work area, the conveyor is lowered, latched in place and resumes operation. Balance is a critical component in the design of gate conveyors. The liftgate is raised by employees with gas-spring assistance. If the gas springs are too strong, the conveyor has a catapult-like effect when it?s raised which can damage the conveyor. If the springs are too weak, the liftgate can close rapidly and endanger employees. Employee safety is paramount when it comes to designing a conveyor system or any other piece of equipment. And for certain applications that require employees to pass through a production line, the liftgate conveyor offers the perfect combination of functionality and safety. 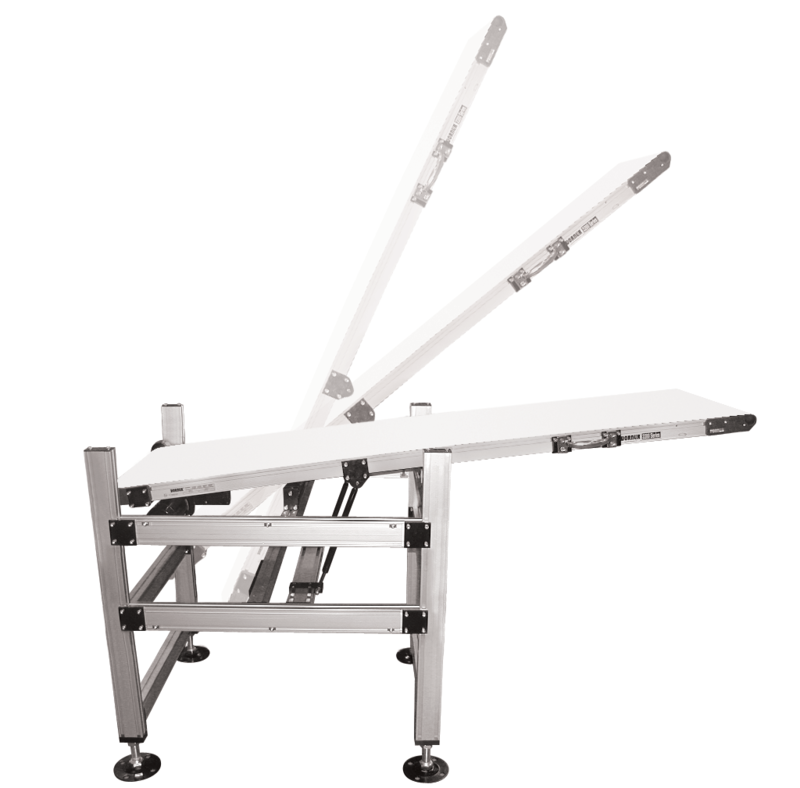 I would like to get more information on the dimensions L and W for the lift gate conveyor. As well as Cycle Time. Thank you for your request. One of our representatives will be contacting you shortly. If you have any additional requests, you can also contact us at info@dorner.com or by phone at (262) 367-7600.